Going to Davao might be one of the things that you want to do before you die, however you should also know where particularly in Davao you should go to make the best of your trip. So, here are some of the top fifty places in Davao known to offer tourists and even locals the best getaway experience. Eden Nature Park is a mountain resort and paradise located in Davao City. This place for rest and relaxation is 95% human-made, located 3000 ft above sea level of Davao City. To get there, it only takes one-and-a-half ride by plane down south from Manila, and a travel time of approximately one hour from the airport. The best way to reach the place is to rent a van in Davao City. The Center is home to 36 Philippine Eagles, 18 of which are captive-bred. It also houses 10 other species of birds, 4 species of mammals and 2 species of reptiles. The Philippine Eagle Center (PEC) is about an hour drive from the city and can be reached either by private or public transport. Malagos Garden Resort is one of the most frequented destinations in Davao City. Breathe in the cool mountain breeze and be one with nature at Malagos Garden Resort, a 12-hectare nature theme park in Davao. Malagos Garden Resort is about 27 kilometers, or 30 to 45 minutes drive from downtown city proper, and some 32 kilometers from the Davao International Airport. 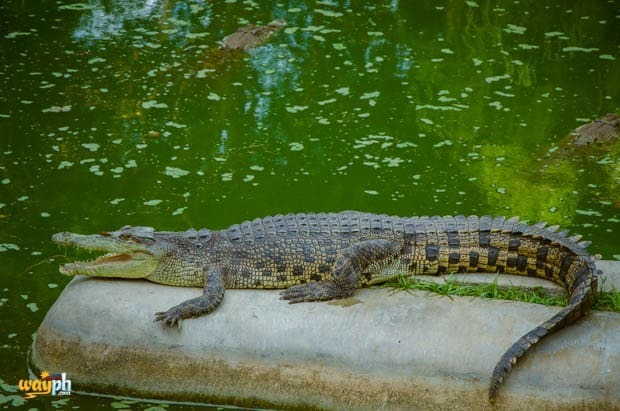 The Davao Crocodile Park is a tourist destination in Davao that showcases a ‘state of the art’ crocodile farming system in the Philippines, equipped with modern facilities and equipment. Apart from crocodiles, other exotic animal species such as raptors, monkeys, bearcats, snakes, birds, and various reptiles can be found in the park. The park is located near the Riverfront Hotel at the Riverfront, Corporate City Diversion Highway, Ma-a, Davao City. Museo Dabawenyo or the “Museum of the people of Davao” is one of the two known museums in Davao. The building of Museo Dabawenyo is formerly the court of First Instance. The City Government was restored and rehabilitated to house and showcase the rich history and diverse cultural heritage of the people of Davao. The Museum is located at Fr. Selga Street going to Pichon Street, Davao City. Formerly the famous PTA Grounds in Davao City, Philippines, this P72 M worth People’s Park opened on December 15, 2007 which features a mini-forest, interactive fountains, waterfalls and ponds, a kid’s toyland and large sculptures representing indigenous groups in Southern Mindanao and the Philippine eagle. 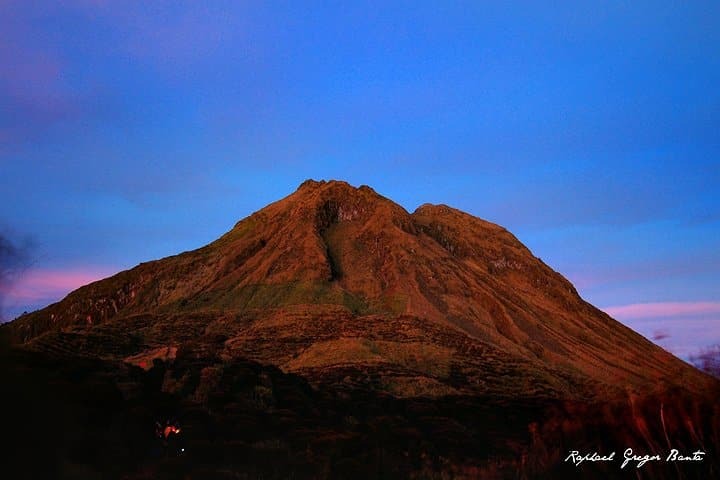 The magnificent Mount Apo is the “King of Philippine Peaks”, the country’s highest mountain peak with an elevation of 10,311 feet or 3,144 meters above sea level. It is also one of Southeast Asia’s highest mountains, and much sought after climbing destinations. Along the Diversion Road in Davao City, there is a Japanese tunnel that dates back during the World War II. The tunnel was carved out of the hilly section of Matina Balusong, west of the city by Davao Prisoners of War in 1942. The tunnel was used by the Japanese as a hide-out, and as a means of transporting their equipment and mobilizing their forces against the American liberating army. Epol Mountain Resort in Marilog District is a 100 kilometers from Davao proper and will take you almost 3 and half hour to travel. Epol falls was known as Green Valley waterfalls before. The trek is very easy, no sweat at all. There is entrance fee collected when you pass by at the first house going down the waterfalls. They used to collect fees to maintain the cleanliness of the falls. Datu Sicao Falls is located at Datu Sicao, Purok 6, Tamayong, Calinan, Davao City. It can be reached by a 4-6 hours trek from the Purok 6, Tamayong. Usually the hikers stay at the campsite before proceeding to the falls on the second day. I would like to add the Samal Island, Davao del Norte. There’s a lot of beautiful beaches and theres 2 waterfalls the Hagimit Falls in Peñaplata and the Tagbaobo waterfalls..
Hi, thank you for this website. Do you have an easily printable list of these top destinations so I can have it printed? Thank you! i’m a davaoena too. i also highly recommend marilog mountain resorts, ang dami doon! hahaha. Also the Tamayong Prayer Mountain, geezzz ang ganda ng mga flowers nila and the landscaping! Where can I find unique coffee shop here in davao? Thanks! It saved me from my reports. Must have taken years to provide this long list. Thanks a lot for sharing these important destinations in Davao. Very useful for those who have not yet visited the most livable city in PH.